Keep track on your drinks. 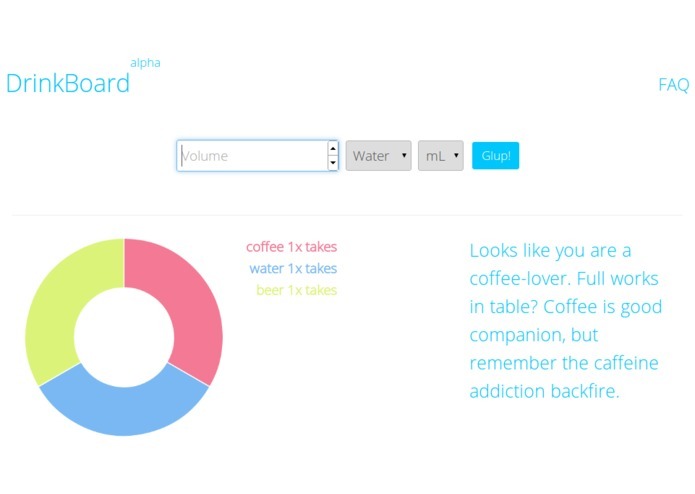 DrinkBoard utilizes charts to show your drink distribution, drink-time relation, and how much you take each of them. DrinkBoard gives 3 popular type of drink: water, coffee, and beer of course. The records are saved in browser's local storage. When submitting, press enter anytime to send.